If there's one thing Melburnians love, it's the unusual, the quirky and the individual. This love of the unique extends to our great cinema experience. Whether you want to enjoy your movie experience on a city rooftop, down a secret garden path, in your car or a fully retro experience. We've got it covered, whether you love art house, classic or new releases. A fun monthly cinema completes with a costume party which is held in secret locations around Melbourne. Guests buy tickets to see an unnamed movie at an unknown location. If this all sounds rather strange, you will also be given instructions to dress appropriately for a particular theme each month. Locations are only provided online 24 hours before the event. However, you will revel in a themed party, complete with performances and wine. The movie choice is only then revealed and it's always a surprise to see if you guessed correctly. On a rooftop, complete with cinema. Arriving at the Rooftop Cinema (after a bit of an upstairs adventure), you will be met with an array of drinks and snacks. You will settle into deck chairs, cuddle up with a blanket and as darkness descends feel at one with the twinkling city lights watching a selection of cult classics. 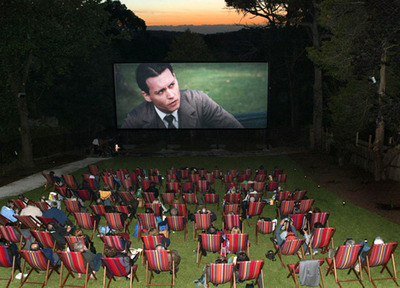 Moonlight Cinema, delights each year during the warmer months with an outdoors cinema experiences set amidst the beautiful botanical gardens. Feeling spesh? You can even upgrade to gold grass, yes that's right gold grass, not class. This gives you a perfect vantage point in the comfort of your own beanbag. Will transport you back to the 1980s. 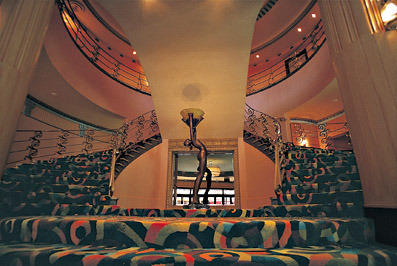 AKA Event Cinema or Greater Union, the cinema shows a mixture of blockbuster and Bollywood favourite plays. Melburnians love retro and we have several cinemas that fit this bill perfectly. Filled with classic silver screen and modern versions, these lovely old gals still thrill us with their charm and grace. Cameo - in the hills of Belgrave, has a lovely selection throughout the year, yet in warmer weather they open the doors to their 'back yard' where guests recline in deck chairs with their own headsets, allowing you to experience cinema as loud or quietly as you like. Taking my children there, I found the individual head sets somehow gave them a more personal experience and we never heard a peep from them. The food in the cafe before the meal was great, too, or you can take a basket. The Westgarth has recently received an Art Deco facelift. Previously it was loved for its loud cult classics and all-night sci-fi marathons. It now shows all the latest movies. The Rivoli is well loved for true Art Deco charm. We enjoy the warren miller ski movies here to kick off the season and love the rooftop bar too. 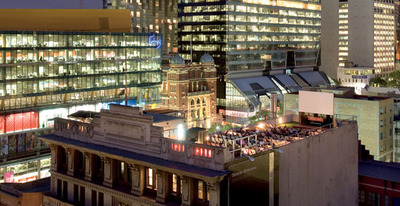 The Sun, is a Melbourne inner-city institution, much loved by the local community. You can find it in Yarraville and whilst here you may enjoy the downstairs café and cute neighbourhood cafes and boutique stores. 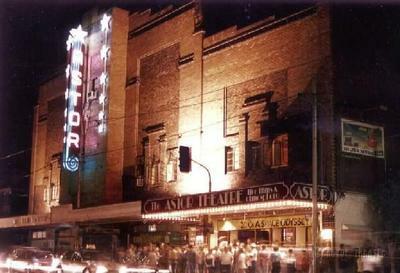 No review of Art Deco cinemas in Melbourne would be complete without the mentioning of the Astor. This lovely institution shows double-features of cult classics, new releases and art house favourites. They even have a resident cat named Marzipan, who may even join you on your lap for a movie. Remember the days of mum and dad bundling up the kids and setting off deckchairs and popcorn in tow? Or perhaps taking a sweetheart to the drive in? These days can be relived still at the Coburg drive-in which allows kids under 12 for free. The Dromana drive-in is one of the oldest and is now heritage-listed. Whether your love is retro, classic, modern, cult, sci fi or you are just up for a great night at the movies, Melbourne has it covered. If you know of any more, please add your suggestions in the comments here. I go to them all but the Astor is my all time favourite. Try to get there once a month or so. During the Film Festival, love to go to the Forum, but unfortunately they seem to have dropped the Capital recently. They had the Regent as a venue for a couple of years but no longer it seems. Saw Gone with the wind at the Regent and they had the organ rise up through the floor playing the them tune at the beginning. Magnificent! I also like to go to the cinema when I am travelling and particularly like to see what the little places have done e.g. On phillip island, the movies is in a motel, in lakes entrance it is in a squash club. Forgot the Palace cinemas. I go to Brighton, Bayside a lot as they always seem to have films that appeal to me and of course the Nova is a treat also. And i also love the IMAX. Love the 3D movies there. You forgot the Dandenong Lunar Drive in, 3 Big Screens to choose from and a great snack bar that does the best burgers! Went to The Sun recently for the first time and it was great especially as it was screening in The Grand. The club seating was amazing and the leg room fabtastic. So comfy and with lovely ambience and great sound it was a fabulous experience. Will be back again soon. I've heard about the Armchair Cinema in Mansfield, but have never been myself. Is Yarn Bombing Legal in Melbourne?